Monster Hunter Generations offers some interesting additions to the Monster Hunter series. As a standalone game, it has more than enough content to keep most players entertained. Long-time fans of the series might find the difficulty and progression lacking compared to other games, but Generations is perfect for newcomers, or those who don't want to spend extra hours gathering materials. There is plenty to like about this game. Though I'm fairly new to the series -- I only started playing with Monster Hunter 4 Ultimate on the 3DS -- it has quickly become one of my favorite franchises. And Generations is a fine addition to the series. 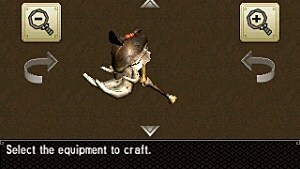 In RPGs like Monster Hunter, customization is a priority in what I look for in a game. 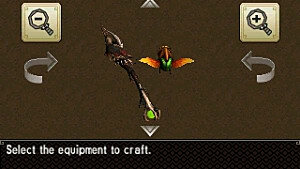 Luckily, there is plenty of it in Monster Hunter Generations. 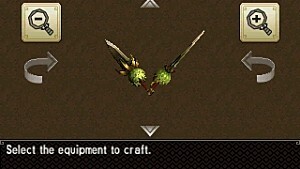 Not only can you craft plenty of weapons and armors that have unique stats and abilities, but they have added a new Hunter Styles and Arts feature as well. This allows you to choose 1 of 4 combat styles, and changes how your weapon works accordingly. 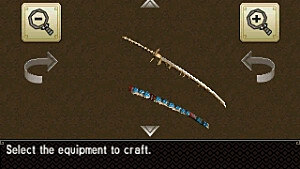 You can also select from a wide array of Arts, or abilities, to use in combat. 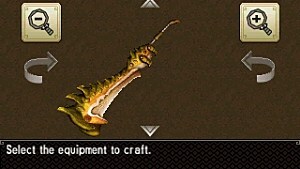 So even after you've chosen a weapon you like, there are a lot more ways to further customize your Monster Hunter experience. It's a nice touch that helps the game feel more tailor-made to individual play styles -- even if some of those styles aren't that great for certain weapons. 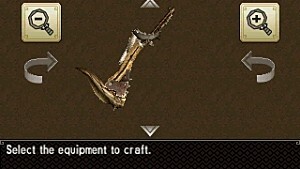 It is also much easier and less tedious to upgrade and craft gear in this game than in past iterations -- which is wonderful, because I hate grinding for hours trying to get rare materials. There is not as much content in Generations because there is no G Rank, but there is still plenty to keep you busy. Even though crafting is easier and faster, that just gives you more time to try new things. Unless your goal is to spend the rest of the year playing only this game and nothing else, I don't think you have anything to worry about in terms of having enough content. There is plenty for veterans of the series, but not so much that it's overwhelming to newcomers. 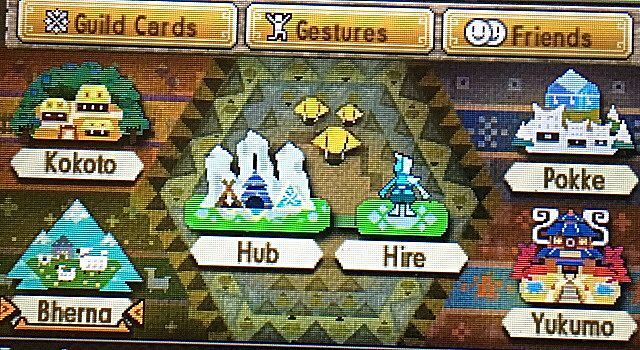 Generations is very accessible to those who are just now picking up the MH series. While this might make some veterans feel gypped, I welcome the change -- because now I can complete everything I want to do and still have time for other things. The difficulty isn't quite as high as with other entries in the series, so some players may find themselves a bit under-challenged. But it can still be pretty unforgiving for those unfamiliar with the game or the series. If this is your first time with an MH game, prepare to die as you learn the ropes. 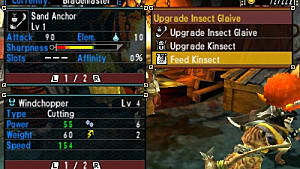 For all the streamlining in content, there is a new Prowler mode that allows you to play as a Felyne, a cat. 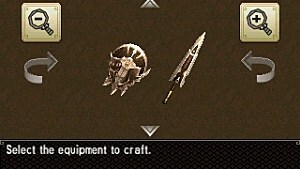 You can get gears and abilities for your Prowler, then use them in specific Prowler-only quests. You can also try using them in normal quests, but I suggest sticking with your Hunter for those. Though a minor addition, it's an interesting one nonetheless. There are only 7 new big monsters added to this game, and some of the older ones aren't returning. 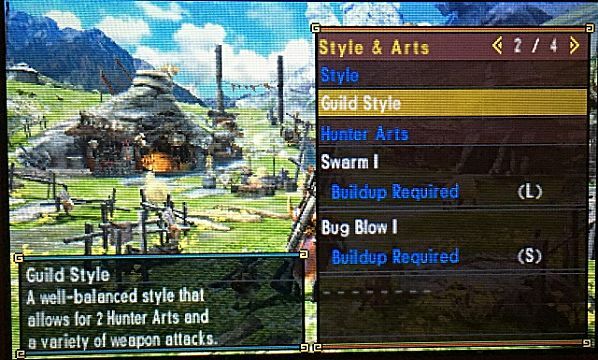 But this isn't Monster Hunter 5 -- it's supposed to be an upgrade, not a completely new game. So it makes sense. There's plenty of other side content -- too much to go into here -- that adds to the game. So players won't get bored for a while. The Monster Hunter series is not popular because of its amazing storylines, but I still think there could have been more in Generations. I won't spoil it, but you are essentially helping research the monsters at the beginning. And things really don't get that much more exciting from there. The biggest problem for me was the multiple villages. The idea is cool, but you don't really need to go to any of them, so it feels like a hollow grab at extra content or playtime. And it looks overwhelming to see so many quests at once. It is kind of cool to have options for other quests, though. I had this in the "liked" section, but let me explain. I really enjoy the customization and the new option presented from Styles and Arts, but there are a few caveats. New players will have plenty to learn just sticking with the basics, so they might not get to experimenting with all the various options available through the new customization options. Veterans who are comfortable with the way things were set up in previous MH may not use many of the new options, so it could be a waste at times. I applaud the choices available, but they could use a little work in future entries to make them more accessible and useful throughout the game. Overall, Monster Hunter Generations is a fantastic entry that veterans and newcomers alike will enjoy. 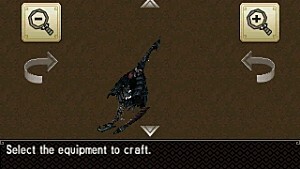 I loved MH4U, and this just adds to it. Don't expect a completely new game -- the title lets you know that upfront. Generations builds on what other MH games have already done right, and takes it just one step further while streamlining some of the more complicated parts of the experience. But there's very little quality content sacrificed in that process, so there's still plenty for players of all levels to do. If you enjoy the series, or want to get into it for the first time, Generations is one entry you will want to pick up.